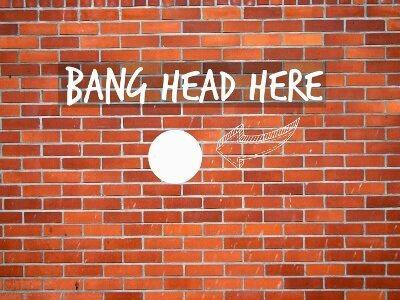 Why does building an integrated call center feel like banging your head against a wall? The decision to make and receive calls, as well as what happens during or as a result of those calls – emails, SMS, tickets – should be made from any of your services. Does your deskphone or SIP softphone setup connect with every business system? Why not? All of your processes and data should be available on any system you need – be it for CRM or your helpdesk of choice. You set the rules when it comes to call routing, then change them to suit your needs. Only you know when and to whom certain calls should be made. babelforce empowers the unique knowledge of your business processes, so your customer service can be as efficient and flexible as possible. Calls should be routed and re-routed intelligently, based on up-to-date information on the attributes of the call. Anywhere they need to go. Ah yes, the decades-old, expensive headache. PCI DSS compliance, data protection, payment software. These things need not break you out in a cold sweat. babelforce allows greater control of recordings, which can be managed from all the tools your business uses. PCI compliance is hard. This is how we make it easy: You record what you need and remove any sensitive data. If you take payment details, babelforce lightens the burden of compliance cost by reducing your risk. When you don’t need to buy new communications hardware, organize reams of telephone numbers, or hire and train dozens of new customer service agents, going global becomes a breeze. With this depth of integration, call data is at the fingertips of your customer service team, whether they’re in the office next door or halfway across the world. No matter where your teams are, or how big, they should be connected. Start to fix broken experiences today.